This is official. According to Billboard news, Mariah Carey dethrones Elvis Presley for the most number one song in the rock era. “Touch My Body”, the new single of Mariah Carey from the anticipated record-breaking album, “E=MC2” soars from number 15 to number 1 in the Billboard Hot 100, Mariah Carey’s 18th number song. According to Mariah Carey's official website, "Touch My Body takes over #1 with an all-time record-setting 286,000 debut week at #1 on the Billboard Hot Digital Songs chart, and a Hot 100 Airplay radio audience now over 115 million." This is amazing since Mariah Carey’s “E=MC2” album is yet to hit the record bars. Will “Touch My Body” surpass the record of “We Belong Together” when it comes to sales and radio airplays? The Beatles records of 20 number one songs are in danger if Mariah Carey will gain two more number one songs from her latest album. Let’s just wait and see. 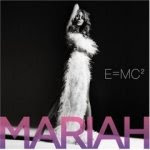 E=MC2 will hit stores on April 15, 2008. This proves that I was right when I said on a post at the ELVIS2NDTONONE website that Billboard is out to destroy Elvis' legacy. Obviously Fred Bronson and Geoff Mayfield are being paid off by pop radio owners or they have their own agenda or both. First, they strip Elvis of recognition of "HOUND DOG"/"DON'T BE CRUEL" as two separate number one hits. Then they refused to recognize "A LITTLE LESS CONVERSATION" 2002, "RUBBERNECKING" 2003, "THAT'S ALRIGHT" 2004 and the successful return to number one of "HEARTBREAK HOTEL" 2006 as legitimate number ones despite the fact they were the top selling singles when they were released. Now they are stripping Elvis of further number ones because of a chart name change. It sounds like a conspiracy to me. I'm a big Phil Collins fan and I know he's also peeved about this. Fred Bronson and Geoff Mayfield has in the last couple of years managed to destroy the credibility of the once trustworthy Billboard Magazine. This never would've happened if Joel Whitburn ran things. I suggest we punish Billboard. First, we need to find out the name of the parent company of Billboard. Second, we need to boycott them. Third, we as Elvis fans should announce to the media why we did so. We will show them that although they might have made millions catering to people like Mariah Carey and Jay-Z they will no longer make millions off Elvis fans. its one for the road for MC!